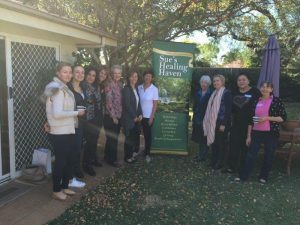 Sue’s Healing Haven hosted an Open Day as part of the ATMS Natural Therapies Week. All those who came received a gift bag and $20 gift discount for attending. 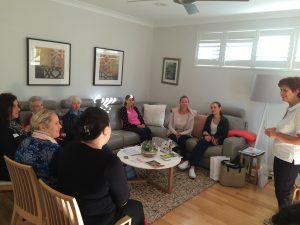 They enjoyed a presentation on Reflexology and its benefits for health by Sue Larkin. Morning Tea kept us going as we progressed into the 3 clinic rooms with one participant chosen to receive a mini reflexology treatment. 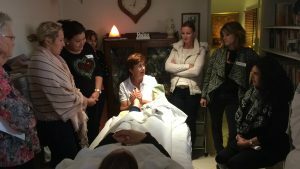 “It was a wonderful education of Holistic Health and how the whole body can be helped to heal with Natural Therapies”. “Sue has a wealth of knowledge and Sue is a passionate teacher of the links between digestive health and the effects on the rest of the body and mind”.